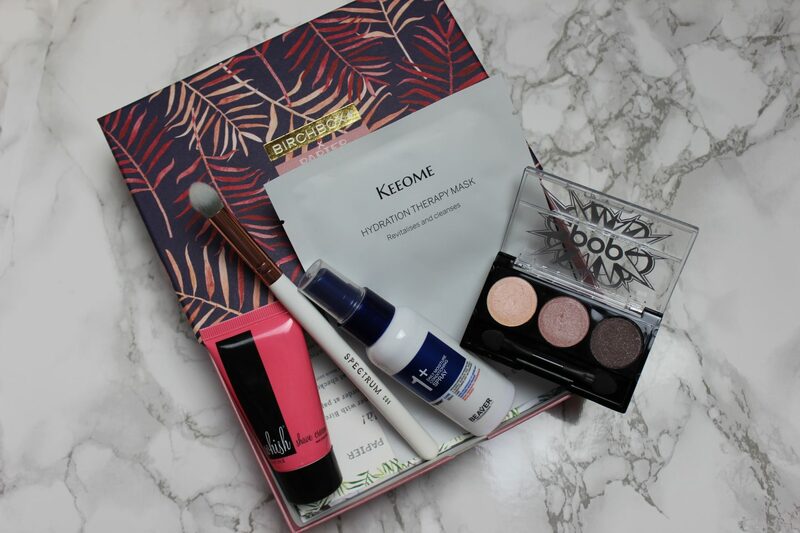 This post is about this month’s Birchbox goodies. Please let me know if you like these kind of posts, or if you don’t mind them. I just think it’s good because it will give people an idea of how Birchbox is if anyone is on the fence about subscribing to them. And also, if anyone is nosey, like myself, and like to see what others get in their boxes, then these posts are also helpful. This month’s box is in collaboration with Papier. They are a stationary company – I love stationary! In this months box, we were able to choose which design of the box we would like to receive. Which is another reason why I like Birchbox because they sometimes give you the option to choose something about your subscription this month whether it be the design of the box or the shade of the product that you would like. A great touch! The other option was a white and green box but I chose this one. We also had the option to purchase a notebook for £8 – in which I did buy but I know I don’t need it. I just like stationary and can’t help myself. It has a positive message on it so I thought why not? Let’s begin with the goodies shall we? This is a herbal blend to detangle, nourish and inject moisture in your hair. 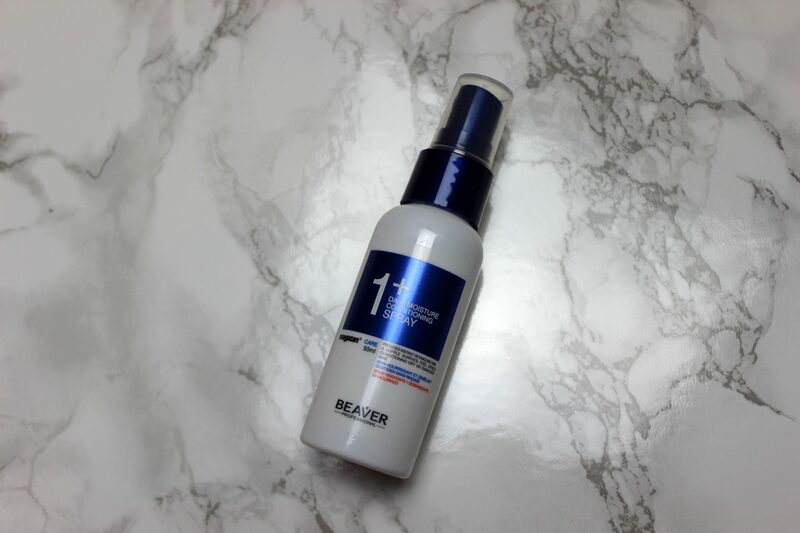 I never use hair care products as I’m too lazy and never do different styles with my hair but this will be good if you wash your hair just before you need to go out and this will allow you to brush through your hair quicker and get through the tangles easier. This product will definitely come in use. 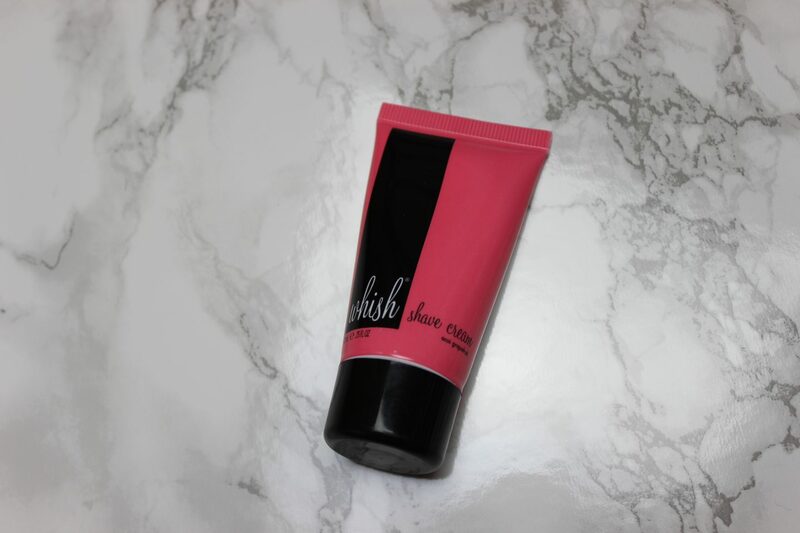 This product has a non-foaming formula which also uses kind-to-skin ingredients like shea butter and coconut oil. Sounds pretty good to me! I am an eyeshadow junkie and eyeshadow is my favourite part when it comes to doing a makeup look, so this was nice to receive. The colours go well together and I can quickly see an easy look to do with this trio. 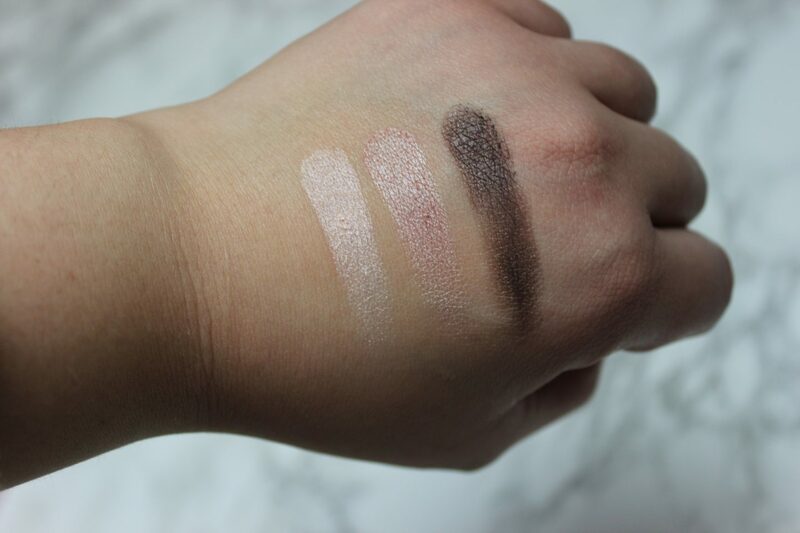 Simply use the middle shade for the lid, the last darker shade for the crease and outer V and the first lighter shade for the inner corner or brow bone highlight. They swatch pretty well on my hands. Cute colours that I would definitely use. 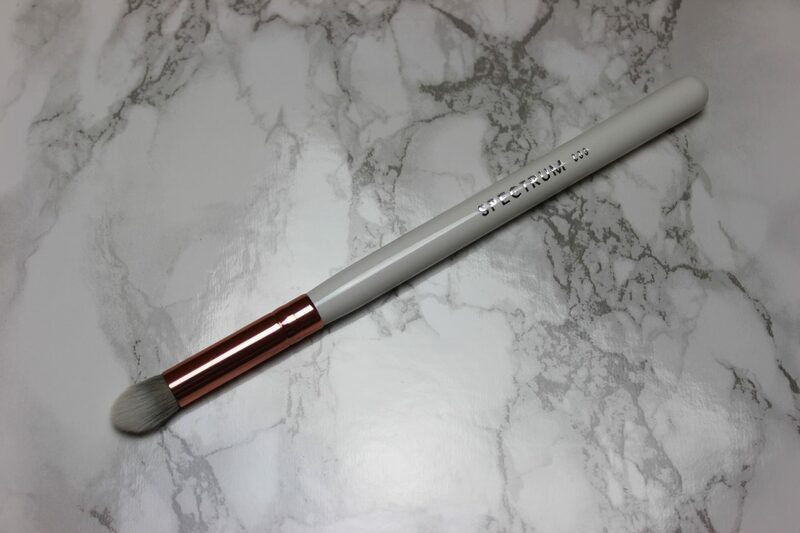 We already got a sneak peak last month that everyone would be receiving this brush in their box this month and I was excited because I really like their brushes. I only have one other brush from them but I really like how soft they are and expected nothing less from this one. 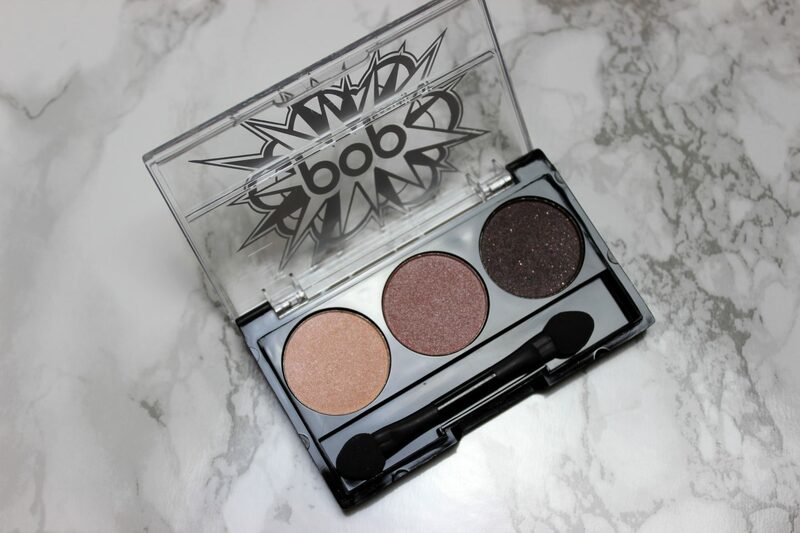 It does feel super soft as expected and it pairs well with the eyeshadow trio that we received in this box to. 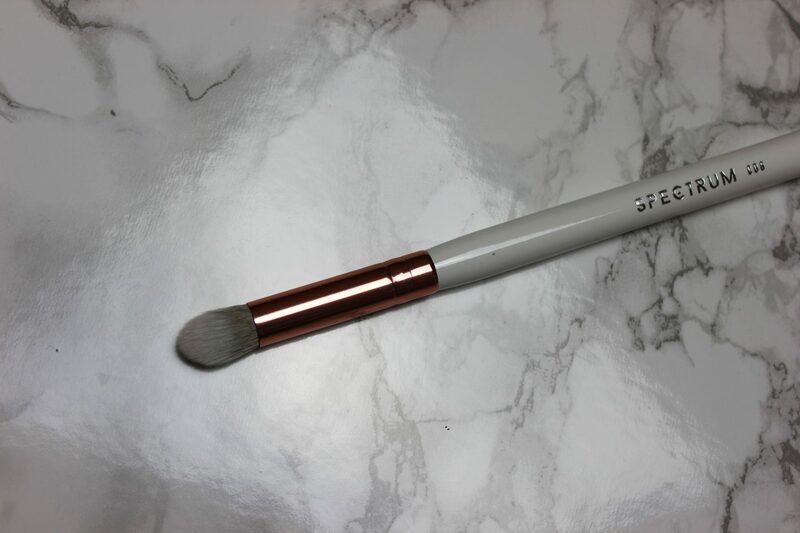 Not to mention the rose gold and white look to the design of the brush – can’t go wrong there. I’ve been trying to get into my masks and use them regularly – atleast once a week or so. So this was a nice treat to get, especially as it’s a Korean skincare item and I hear that Korean skincare is really good. 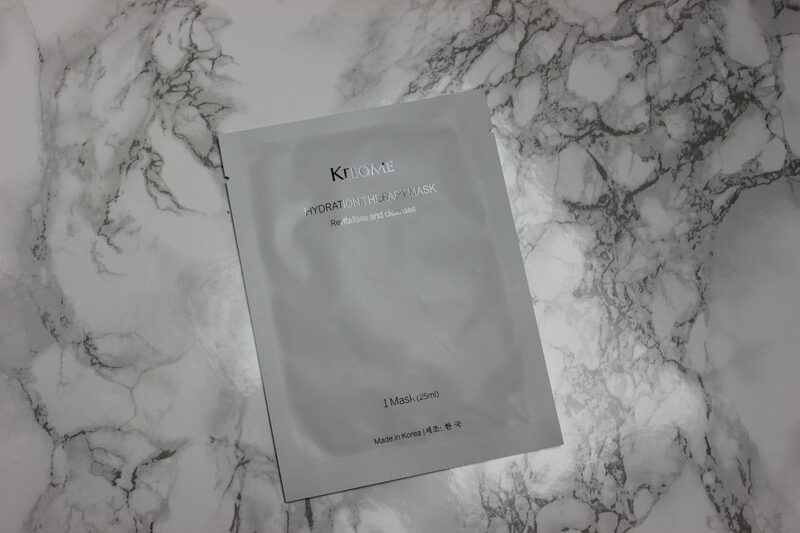 This mask claims to revitalise the skin in minutes with its hydrating blend of vital vitamins and mulberry extracts that sinks into tired complexions. 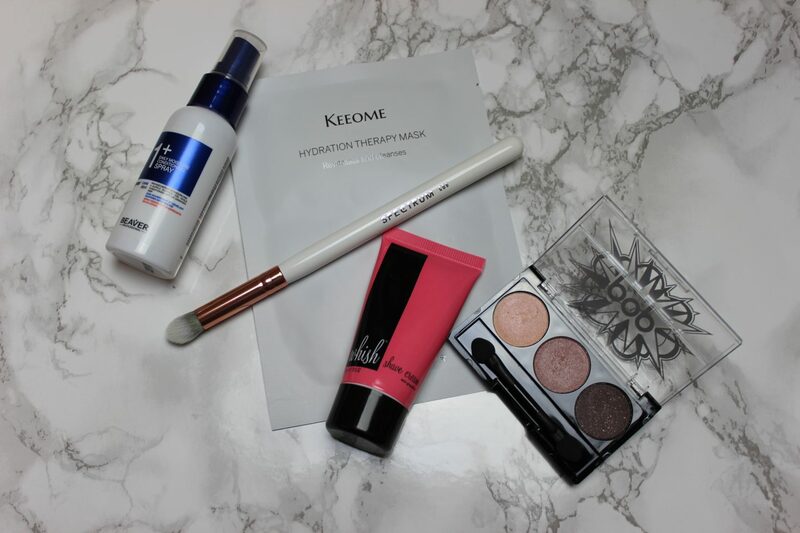 I’m really impressed with all the products we received in this months box! So many goodies that I will definitely be getting use of so that’s great. Thank you Birchbox! You’re spoiling us and we are loving it! We already got a another sneak peak of one item that we will all definitely be receiving. We will be receiving a sample of a treat from Benefit – They’re Real! Double The Lip. We also got the choice to choose which colour shade we wanted – I already chose mine. So that’s a nice little something to look forward to! What did you receive in this months box? Looks like a good little mixture of goodies! I love spectrum brushes – they're fab! 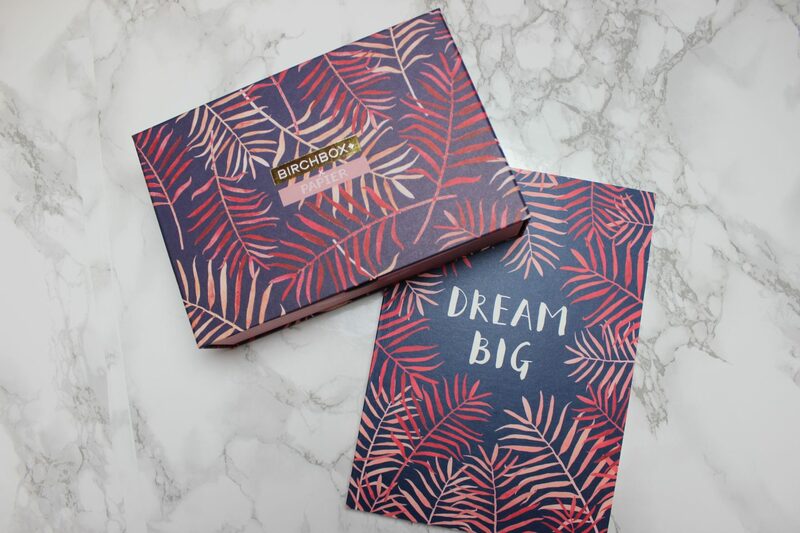 I love having a nosey in subscription boxes so these posts are great for me. Looks like a great mix of stuff – brilliant that you get a Spectrum Brush in there.